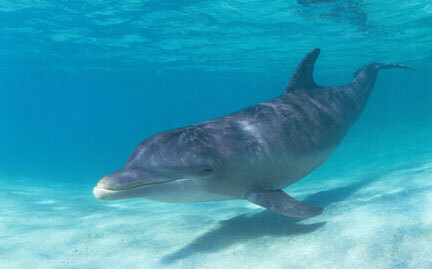 Bottlenose dolphins inhabit tropical and temperate oceans throughout the world. They live in groups numbering about a dozen individuals, and learn at an early age the complex socialization skills that will prepare them for future survival. Dolphins are susceptible to toxins, pollution, and entanglement in fishing gear. For every website we build, Double Fox Websites adopts an endangered animal in our client’s name. Our goal is to help these beautiful creatures, one foxy website at a time.